This finely drawn portrait of a complex, polycultural urban community in Madagascar emphasizes the role of spirit medium healers, a group heretofore seen as having little power. These women, Leslie Sharp argues, are far from powerless among the peasants and migrant laborers who work the land in this plantation economy. 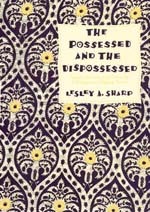 In fact, Sharp's wide-ranging analysis shows that tromba, or spirit possession, is central to understanding the complex identities of insiders and outsiders in this community, which draws people from all over the island and abroad. Sharp's study also reveals the contradictions between indigenous healing and Western-derived Protestant healing and psychiatry. Particular attention to the significance of migrant women's and children's experiences in a context of seeking relief from personal and social ills gives Sharp's investigation importance for gender studies as well as for studies in medical anthropology, Africa and Madagascar, the politics of culture, and religion and ritual. Lesley A. Sharp is Assistant Professor of Anthropology at Butler University.